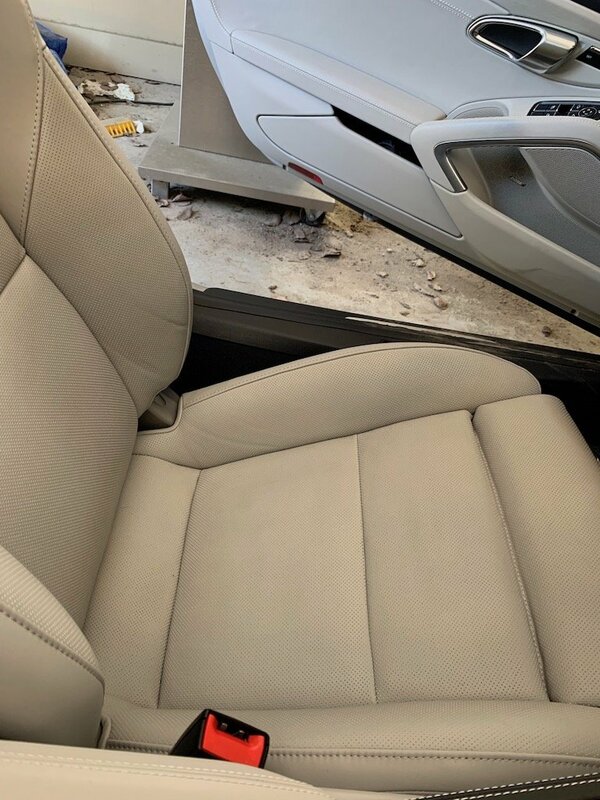 Porsche 718 Forum > 2017+ Porsche 718 Tech And Performance Section > Interior > Chalk leather: does it show marks and dirt? Chalk leather: does it show marks and dirt? I sent my "final" build code to my dealer this morning for a Miami Blue CGTS with a full leather Chalk interior. I don't want to hear I told you so from my wife about the Chalk interior getting dirty. And I vividly recall my days at US Airways when Stephen Wolf added light grey leather to the first class seats. The seats soon had pen marks and were soiled quickly. 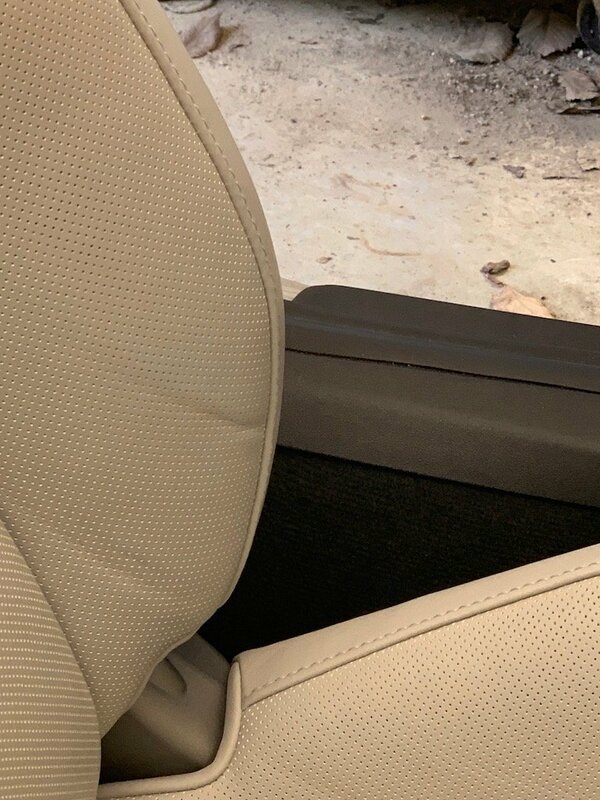 For those who have the Chalk leather seats, do the seats soil easily? And how long have you had your 718 in Chalk leather? I can't offer first hand history, but I opted out of chalk based on a friends car. Not only was it showing dirt, but the driver side had blue smudges from his jeans. I've got about 5950 miles on my car. Black/Chalk full leather, which I'm assuming is what your talking about also. I think there is a host of contemporary cleaning and conditioning products that will keep chalk looking fine. My seats look perfect now. I have cleaned stuff off of them. I haven't written on them with a pen. I haven't had tomato sauce fall out of pizza that I was eating while driving. No "disasters" yet. But neither am I particularly careful. This is exactly the reason I did the Graphite Blue/Chalk sport tex seats. 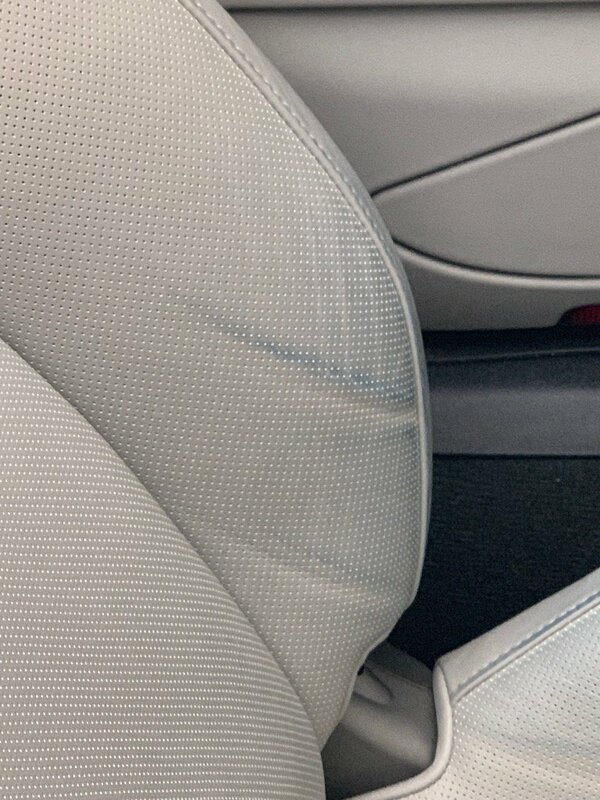 The part of the seat that gets the most wear is the Graphite Blue sport tex and the trim is the chalk leather. TEST DRyVer and chester like this. I had chalk leather interior for 7.5 months prior to selling my CS and the chalk leather looked pristine. I would spec chalk leather interior again in a heart beat. TEST DRyVer, chester and Dan.B-Cayman like this. Thanks all! I am sticking with the full Chalk interior. I don't eat in my cars, but I do sip coffee! I might give that up if the feedback on "inadequate" cup holders is true. I'm getting ventilated seats, if that matters any. Thanks again guys, particularly you Miami Blue brothers! You have helped me immensely. I'm waiting for a commission number that should be assigned in January. I have the black/chalk interior combo in my 911 TTS and it looks great after almost 5,000 miles. Maybe to be on the safe side you could use the following product to avoid dye transfer from clothing on the leather. Yes it does show blue jeans.. See two before pics (about 6 months of ownership) and after I cleaned with Chamberlain's leather cleaner which I found on Amazon. Sorry the white balance changed within the same shot, but it is chalk leather interior. Wow those are significant stains. I never even got even a spot on my chalk leather. Every time I would clean my Porsche I would use Meguiar's X-Press spray wax on a white microfiber towels and wipe the seats down. 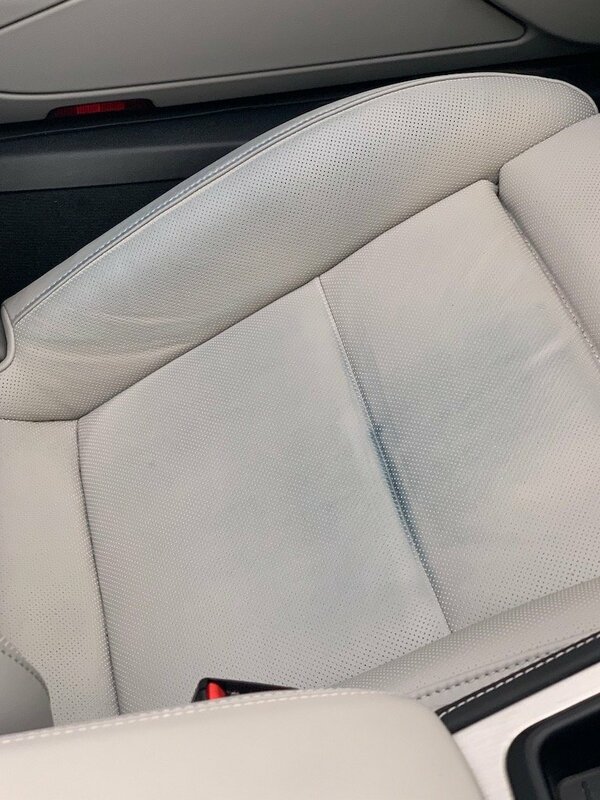 I would not spray the X-Press on the seats but spray it directly on white microfiber towel and wipe all surfaces as part of the car detailing and it took maybe 15 minutes. I would also use a second white microfiber towel if any "knock down" was needed. In fact, I have used this cleaning technique with great success on all three Porsches. Last edited by Porsche2018; 04-15-2019 at 09:29 AM.